Lewis Apartment Communities currently seeks an experienced Maintenance Supervisor for one of its beautiful, dynamic apartment communities. This community is 330-units, located in Sacramento, CA. WHY JOIN US? Lewis is a nationally-awarded and recognized, growing company with a strong history, a broad future, and a strong promote-from-within company culture. Grow with us! 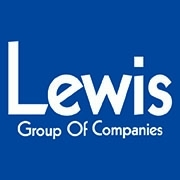 In addition to a COMPETITIVE annual salary, Lewis offers annual bonus potential, full medical and dental benefits plans, 401K savings plan with company match, apartment DISCOUNTS, paid holidays, vacation time, continued TRAINING and much MORE!